South Korea’s average internet speed is now 17.5Mbps. In other news, the rest of the world averages 2.3 Mbps. 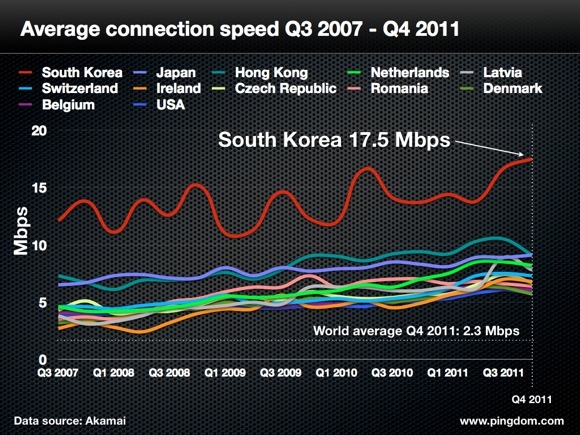 South Korea was also 1 of only 2 countries (other being Japan) that increased in Internet Speed from Q3 to Q4 2011. Also note that these are averages. South Korea peak in Q4 was 47.9 Mbps. Yes 47.9 Mbps. That’s like… at least a couple songs. Hong Kong & Japan: Hong Kong’s speed decreased from 10.5 Mbps to 9.1Mbps, putting them tied for #2 with Japan which increased from 8.9 to 9.1 Mbps. United States: Average speed is 5.8 Mbps, down from 6.1 Mbps in Q3. Ranked #13. Down Overall: Average internet speed fell 15% overall from 2.7 Mbps to 2.3 Mbps. 93 countries saw a decrease. 41 countries saw an increase. Asia’s Lead: 69 of the 100 cities are based in Asia Pacific. 61 are in Japan, 6 in South Korea, 1 in Australia plus Hong Kong. 24 are from North America, 7 from Europe. Though South Korea has the fastest Internet connection in the world, it has more plans to further increase connections throughout the country. 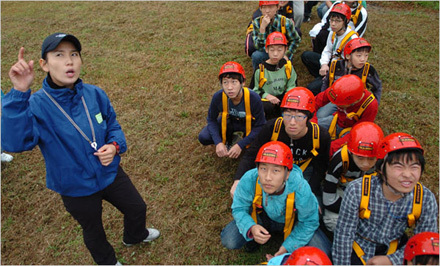 Choi Gwang-gi is overseeing South Korea’s plan to connect every home in the country at over one gigabit per second by the end of 2012. They plan to increase speeds 10x leaving them 200x faster than the average home in the United States. Increased Internet Speeds Causing Internet Addictions? A big concern with increased internet speeds is the increase in internet addiction. Internet addiction is a huge social issue in South Korea. The country even has established “Deprograming Camps” to help the young break free from the Internet. There have already been many tragic stories of Internet additions causing great harm. One man died in a Net Cafe after playing games several days in a row. Even worse, a South Korea couple neglected their own 3 month old daughter who died of starvation as they were immersed in a role-playing game nurturing a virtual daughter. It’s a sad reality that as technology advances and brings greater connection and good to the world, it is also creating more harm through detachment, social awkwardness and internet addiction. What is your gut reaction to the rise in internet speeds? Do you think enough is being done to prevent the harms of the internet? Do you have any checks or accountability for your or your family’s internet use? Those are staggering numbers for S.Korea when you consider that we’re speaking of average speeds here. WOW! An interesting fact: dont exactly recall where I read this (and too lazy to look it up now), but I read that a fair chunk of internet users in the US and North America are still on 56kbps dialup! 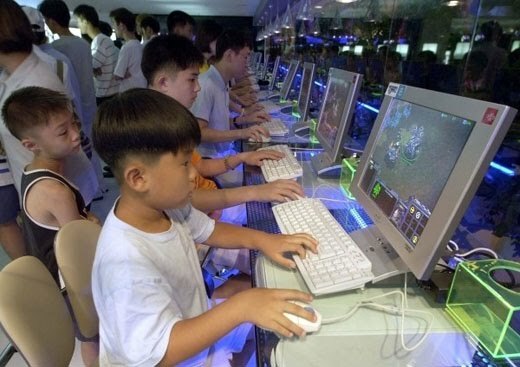 Personally, I can relate with those kids in the image above, Starcrafft 2 really is an extremely immersive game 🙂 However I do think people need to be responsible when it comes to the internet and moderate use, especially when it comes to young family members. I’m so moving to South Korea!! fun fact: a 75 year old woman in Sweden has the fastest broadband connection in the world. she has a 40gbps connection installed at her home. wonder what a 75 year old could possibly do with such blistering speeds..